Freeman Group Architects is an established Melbourne based architectural practice successfully delivering a broad range of small to medium scale projects, whilst specialising in residential alterations and multi-unit residential projects. We are adaptive and flexible. We listen carefully to your needs and expectations. We are focused on good design and effective project delivery, all provided at competitive rates. Rob Mills Architecture & Interiors (RMA) are specialists in the design of high-end residential and commercial architecture and rich, layered interior spaces. With over 20 years experience RMA has become established as the architect of choice amongst discerning Australian residential clients, looking for a holistic approach to land, architecture, interiors and landscaping. “We have an inherent understanding of how the unique urban and rural landscape responds to the built environment and as a result we unlock its potential. This natural ability allows us to discover the best solutions, designing living spaces that play to the strengths of the Australian climate while remaining international in philosophy and execution’, says Rob Mills. RMA’s talented and committed team offers architecture, interiors, and decoration all under one roof while collaborating closely with landscape designers empathetic to their overall vision. This approach has equipped them to deliver specialised insights with consummate skill, which allows these complementary disciplines to inform one another. The result is residences that are exceptional to live in in terms of light, air, the flow of space, the quality of the interior design and the balance of functionality with attention to detail. Harnessing natural light and air, sounds and space, and combining these elements with innovative technologies, Rob Mills Architecture & Interiors create great living spaces that are airy, light-filled and acoustically in-tune with the sounds of nature and the natural rhythm of the home — a fluid blend of unparalleled form and function. We are a boutique studio led by yin/yang couple Anna and Phil, with over 20 years experience creating bespoke homes shaped around our clients aspirations and a deep understanding of human behaviour. We live and breathe design and love nothing more than hearing from families about the joy they get from their homes 1, 2, 10 years down the track. We bring a deep curiosity about your life, values, routines and rituals to the table, together with award-winning design skills, decades of experience and relationships with trusted builders, consultants and suppliers. We will challenge your assumptions, explore many options and make sure you understand and are excited about how your family will live in these spaces, how they can adapt over time and how they can make your day, every day. 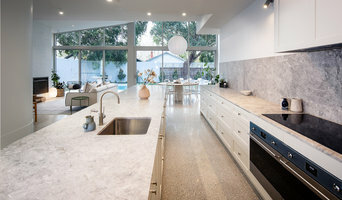 Westgarth Studio is a boutique, Northcote based design studio, committed to providing inspiring and affordable Architectural and Interior Design services. Understanding that many people are reluctant to engage an architect due to budgetary constraints or confusion about an architect’s role, we aim to simplify the process and to provide affordable architectural expertise no matter the project size or scope. Personalised advice and guidance is offered whether you require assistance with a neighbouring developments planning application, wish to understand the potential of your existing home through an affordable concept design or feasibility study, you are looking to re-fitout your retail or office space; have decided to renovate or extend, or are looking to build from scratch. We will work closely with you to understand your needs, expectations and any budgetary constraints to unlock the unique potential of your project! Baldasso Cortese is an established Australian architectural firm, recognised for architectural, interior design and masterplanning excellence across a number of industry sectors. Customer-centric and easy to work with, our dynamic and passionate team focuses on identifying our clients’ needs and delivering practical solutions through innovative design. Our design philosophy summarises our approach: "We value a critical design process that is interactive and inclusive. Through the exploration of light, space and materiality we aim to produce sustainable built environments that are based on a clear architectural idea." We believe that by respecting the environment, our design contributions to Australian architecture will benefit the community and future generations. In summary, we are proud to say that Baldasso Cortese offers innovative design solutions, a collaborative approach and strives always for exceptional, personable customer service. We would welcome your call if you’re planning a project and would like to explore the possibilities or learn more about the services we provide. Tim Spicer Architects focus primarily on residential housing in coastal, rural and urban contexts. This has resulted in ambitious contemporary designs that push the boundaries of form and function within a residential framework. A truly bespoke approach nurtures the individual needs of the client. It responds to highly personalised briefs and provides an architectural style that reflects a passion for modern design, sustainability, materiality, technology and efficiency – the practice’s core values. Architects of light, balance and beauty, designing for comfort, affordability and longevity. We are proud that our buildings achieve high energy ratings and have been showcased as positive examples of sustainable design. Our team draws its strengths from our European influences and our extensive local and international experience. McGann Architects is an architectural and design practice, with a foremost commitment to the realisation of innovative, functional and efficient buildings & spaces. Since our inception in 2006, we have been dedicated to providing the best possible outcomes for our clients, within the opportunities of the site, brief and budget. We believe in quality design and its benefits to lifestyle and associated commercial returns. McGann Architects strive to deliver architectural services in a straightforward manner. We clearly identify and separate our services into logical stages, allowing our clients to utilise our skills as much or as little as required. 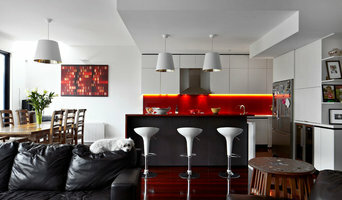 At Studio Ester, we believe beautiful design is achieved in the plan and section. Our projects focus on providing spatial quality and contrasting experiences, whether residential or commercial. For residential builds and renovations, we design integrated indoor-outdoor zones to activate the whole property, ensuring each space has a specific purpose—from contained functional areas for clothes lines and water tanks, to play areas, to entertaining places, to relaxation spaces. We believe any new build must blend seamlessly with the existing structure and the natural context of the surrounding environment. Reflecting the distinctive sense of place that every site has enhances the overall character of a building and creates a feeling of belonging that remains in the memory for years to come. With an emphasis on sustainable architecture, the studio ester team work with Melbourne's Mediterranean climate to drive passive climate control solutions and maximise natural light and ventilation. We layer thoughtful design, with renewable materials and specially selected services to keep energy and water consumption costs low. Our philosophy of sustainable architecture doesn't just work on cost-saving though, it also ensures that even the smallest renovation can contribute to a built environment that can be enjoyed and relied upon for decades. Our projects vary in arrangement, style and finish, reflecting our close collaboration with you and our response to what you need from your residential or commercial spaces. We design spaces that are beautiful in their own right, as well as a blank canvas for clients to inhabit the way they dream. We use materials that are appropriate for the site that will age well with time. We believe that buildings should be energy efficient and space efficient. No two projects are the same with each project being site specific, responding to client brief, typography, memory and context. We like to test new materials or use everyday materials in new ways. We integrate architecture, interiors and landscape for a seamless environment. We prioritise subtle detailing, lighting and volumes that create moments, spaciousness and intimacy. Architecture is not just the sketch design, but watching the initial concepts evolve into functional buildings that surprise people with the changes of seasons and light. We believe construction is a handmade art. Architecture’s wonder is in pairing it back so that it not only is an object of beauty, but becomes a vessel for its intended function. Julie Firkin Architects was established in 2009 and specialises in designing aspirational, carefully crafted and commodious homes. These projects can involve transforming older dwellings, unlocking the potential of constrained, inner-city or suburban sites, or embracing the natural beauty of regional and rural areas. 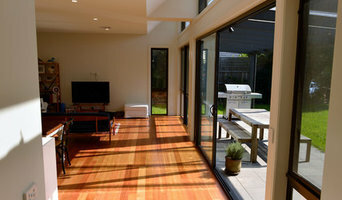 We incorporate passive solar design principles to ensure that our designs are thermally efficient, light and comfortable. 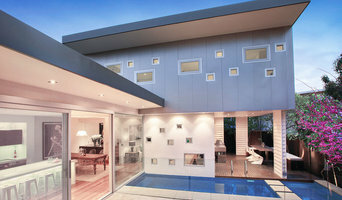 Urbourne Architecture is a Melbourne based multi-disciplinary architectural office established in 2013. Our team provides architectural services ranging from personal abode to multi-unit & mixed-use development. With a team of creative designers focusing on green building sustainability principles, working in conjunction with construction pragmatics & cost efficiency, we have researched, designed & managed several projects consisting of conventional & modular buildings throughout Australia and Asia.